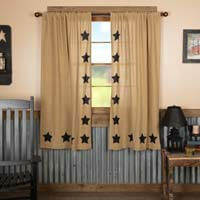 Dress up windows with the Burlap Natural Valance Black Stencil Stars 16x72 to keep the view clear. Paired with panels or swags on larger windows, this valance covers curtain rods and keeps the decorative element in tact. 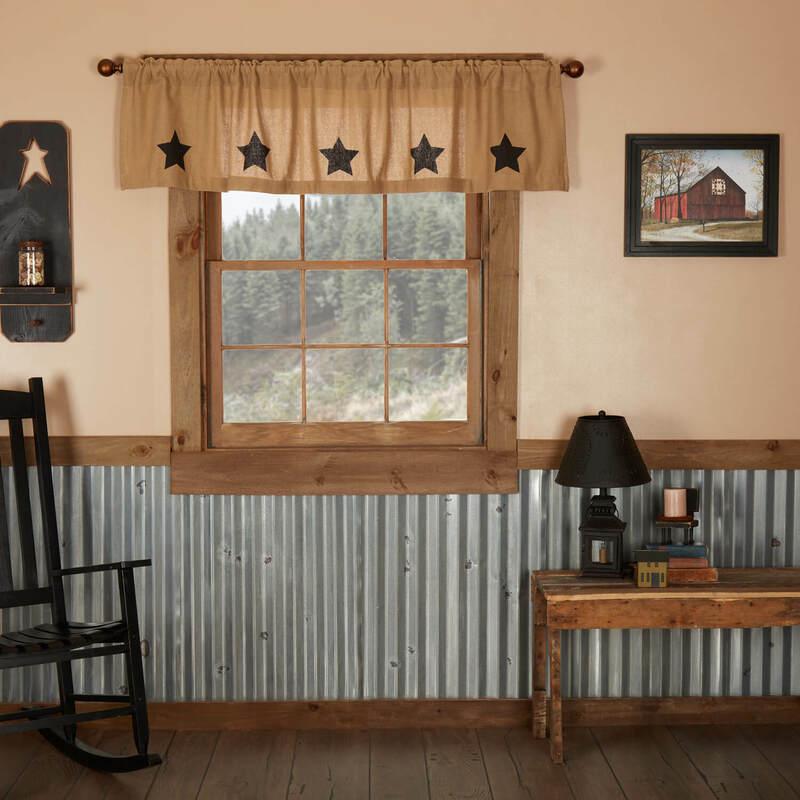 Features natural burlap with a rod pocket that measures 3.25 inch in height which allows for a wide variety of hardware to be used.